I don't know if I'd ever read this verse in the Message until today. I love how it's worded. Talking about God wherever you are is so encouraging to me. Have you ever thought that being a good Christian family meant you had to do certain things a certain way? I used to feel like us becoming a good Christian family meant I would have be a good Christian mom and fit into a good-Christian-mom mold. For many years I didn't even come close to what I thought that looked like. After several failed attempts to do daily devotions or get through a whole Family devotion workbook with my kids, I determined we might never become a good Christian family. Oh, how I wanted to be consistent. I wanted to memorize Bible verses with my kids. I wanted to develop a routine of morning devotions. But there just wasn't anything "routine" about me. My personality requires randomness. I can get bored and distracted easily. I need variety. So when God gave me the idea to create a character chart where we could learn and live God's Word in our everyday lives in a "wherever you are" kind of way, it was a perfect fit. Now, God knew this "wherever you are" woman still needed some focus. So He gave me a simple way to start with a simple goal in mind - His character traits would be our family's focal point. He showed me that my kids had no clue what the traits meant so I found simple ways to define them in easy to understand terms. Those child-like definitions helped me. Obviously I hadn't a clue either. Since our goal was to get God's Word in our hearts and apply it in our lives, each character trait needed a verse to go with it and simple application ideas we could do "wherever we were." Knowing my kids hadn't responded to my "preaching" in the past, God gave me a gold-mining mom" mindset which helped get His Words in my heart and His perspective in my thoughts. Soon after all that happened, I said good-bye to guilt and embraced my new identity as a "wherever you are" kind of mom. Have you been feeling like you don't measure up to the good-Christian-mom standard? Maybe you've fallen short of your goals of perfection. Me too. But you know what, we just need to get rid of those expectations and like Lysa's shared in her great post about embracing who we are as moms, we need to do just that - be the mom God created us to be. If you simply long to be a mom who loves God and does the best she can to show it by teaching your kids about God's love and how they can experience His truths in their everyday lives, you can be! You don't have to be perfect. You don't have to have it all together. You just need to get started - wherever you are! Michelle, whether your family loves structure or needs something that fits "wherever you are" I pray that our Mining for Gold in the Heart of Your Child CD and Chart will be a great tool to help you talk with your kids about God's ways and His Words "from the time you get up in the morning to when you fall into bed at night." WHOOPS! The link from today's devotion (April 23rd) was supposed to go to my home page where I have a list of God's promises for you! Click here if you'd like to read them. This post is from my devotion March 26th about finding God's perspective and purpose as a parent. In it, I shared my story of becoming a gold-mining mom and promised to list here some practical ways to connect spiritually with our kids. This is another way I learned to experience and give God's love to my kids. I used to think that if I just read my kids the Bible they'd sit still during family devotions and then wake up the next day wanting to be sweet little children who obey God's Word. Not so. Didn't happen. And I thought I was doing something wrong. But what I discovered is that children don't want to just read about God's truths - they want to see us live them. They don't just want to be told a bunch of rules, they want following God to be an adventure. And it can be! So, how can we make spiritual connections with our kids? First we've got to invest in positive heart connections . Although children need discipline and correction, the main thing they need is love communicated through the power of encouragement and time spent together! Why? Because spiritual truths can't get down into the soil of a heart that's been hardened by criticism and constant correction. Now I realize encouragement is hard to offer when it's not what you grew up with. But if that's the case, this is our chance to choose to be what we wished we’d had! Your grandchildren will thank you for it! God challenged me ten years ago to start looking for ways to catch my kids doing the right things instead of always correcting what they did wrong. He also showed me some positive ways to teach my kids about His character. I realized pretty quickly that it would be more affective if I used the "we" approach instead of a "you" approach. So, instead of saying,"You need to learn to be patient," I'd say, "We need to learn to be more patient, let's practice together." · Ask for something and then wait without asking again. · Be patient with yourself when you don’t know how to do something. · Don’t interrupt. Wait for your turn to talk. · Have each family member wait to buy something they really want. See if the desire goes away. "God, please help us to be patient and bear with one another in love. Give us Your patience when we get frustrated or want to complain because something isn't happening how or when we want it to." When we see our kids being patient or demonstrating any golden action or attitude we can also set up a system of rewards so they learn that following God brings blessings. As I mentioned in my devotion, we created gold nuggets when our kids were younger so they could save and redeem them for special treats or family activities. Now that they're a tween and teen we reward them with other blessings like staying up later, cooking their favorite meal, renting the movie of their choice, etc. Whatever you choose, this is a positive way to teach our kids that God rewards those who seek and follow Him! Kids want to see us live our faith, not just talk about our faith. As you read Bible stories with your kids or on your own, be sure to look for examples of people who showed good or bad character. Challenge yourself to apply what you're reading. Then take time to tell your kids how you are living it out, and use it as an opportunity to remind them that God really can make a difference in our daily lives. These become powerful and memorable moments when we teach our kids spiritual truths that God is teaching us. And that's just what God tells us to do in Deuteronomy 6:5-7. I used to think it was so hard to connect spiritually with my kids but now I see that it's not - it's just takes me getting intentional about doing life together while keeping God's perspective and purpose in mind! I would to love hear your parenting perspectives and stories! You can share them in today's comments and be included in a drawing for my Mining for Gold in the Heart of Your Child CD and Chart or another parenting resource if you already have that one. Do you want to win a free year's worth of D6 Devotional magazines and be part of a contest to win an all-expense paid trip for two to the The D6 Conference? Today I have two posts. This one and the one below where you can find out about more chances to win! And you must love the Lord And you must commit yourselves wholeheartedly to these commands that I am giving you today. your God with all your heart, all your soul, and all your strength. Repeat them again and again to your children. Talk about them when you are at home and when you are on the road, when you are going to bed and when you are getting up. Here is a video of one of my D6 stories that was filmed at my house when the D6 team was here in December. I am dying to hear your D6 story! I know you've got something to share, especially if you were part of my month of encouragement for moms in January. So, please share your story in the comments at the bottom of this post. And if you do, you'll be part of all kinds of prize opportunities! Here are three great prizes you can win! 1. If you share your story - big or small - in today's comments, you'll be included in a drawing for my Mining for Gold in the Heart of Your Child CD and Chart or another parenting resource if you already have that one. 2. If you video and download your D6 story on YouTube, you will win a free year's worth of D6 Devotional magazines for parents and children! 2. AND Your video will also be entered into the drawing for an All-Expense Paid Trip for TWO to the D6 Conference.That's right! By downloading your D6 story on Youtube you will qualify for the contest to win an an all-expense paid trip for 2 to the the D6 Conference! Wouldn't that be amazing!? If you have any questions, just leave them in the comments below. I can't wait to hear your stories - big or small - so please, please share them! I'm working on putting another one of mine that is a home video up on youtube and I'll be sure to post it here soon. Don't worry if your's isn't professional. I promise my next one won't be either! I'm so sorry I've only had one post this week. This not-so-perfect woman has been feeling not-so-good. I got the coughy, itchy throat, sniffy nose, feel like I wanna crawl in a hole and sleep for days bug. I so didn't have time to be sick this week but I am excited to say that I met a big book proposal deadline yesterday and started feeling good enough to still fly to Dallas today for the Christian Book Expo with Lysa and Holly. I know, I know. It's no wonder my tree is still up! But I have a feeling it might not be when I get home. Rumor has it some elves might pay a visit to my place. Before I go, I wanted to tell you to be sure to check out Lysa's blog and be part of an amazing opportunity to win a scholarship to Proverbs 31 Ministries She Speaks conference. I would love to spend the weekend with you there! And if you live in Dallas, please join us this weekend at the Christian Book Expo. Lysa is speaking in the morning at 10am and we'll be at the Harvest House book tomorrow at 11:30am. I'll be walking around all day telling publishers and readers all about Proverbs 31 Ministries and finding out what new books we can offer this year through our website, devotions, radio shows and speaking events. If you have a favorite book that you love and recommend to all your friends and family, please let me know so we can consider offering it. Just leave a comment with the title, author and a few sentences describing how this book has impacted your life! Hope you have a close-to-perfect weekend! A few years ago I'd been speaking at a women's conference when a woman came up to me to say she almost didn't come to the event because I was a speaker from Proverbs 31 ministries. She told me that chapter in the Bible made her feel bad, and every time she heard a message on Proverbs 31, she felt worse because the speaker seemed perfect and it made her feel like she should be, too. Then she said she was glad she came to my event that day. It made her feel better after hearing me speak since I didn't have it all together. I smiled and decided that was a compliment. I'm always happy to encourage others with my not-so-together self. The truth is for many years I wanted to tear Proverbs 31 out of my Bible and pretend it never existed. But over time I discovered some powerful truths tucked into what used to be an intimidating passage. I'll share those another day. For now, let's just say I'm a P31 Woman in progress. Heck, I don't even know what a distaff is and fine linen...well, does flannel count? 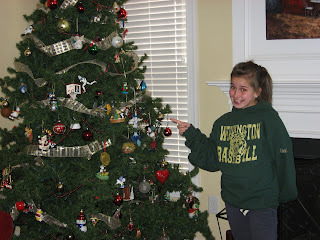 "Renee, is that a Christmas tree in your living room?" Yep, he sure did. And yes that is a Christmas tree in my living room! I know it's St. Patrick's day. I was planning to have green clover ornaments on it by now, thank you very much. I was going to decorate it with shamrocks this month, Valentine hearts last month and easter eggs next month. Andrew talked me into keeping it up so we could have a "holiday" tree through Easter. I agreed since I'd waited until February to take it down. It was a great idea. The only problem is time passed. I got tired at the end of each day and started working on my book proposal and other things, and well I never took off the Christmas ornaments to replace them with other holiday themed ones. I just got so used to the thing in my living room that I didn't want to take it down. It matches my decor - look at those beautiful greens and reds blending together! But I am getting really funny looks these days. Lysa's daughter Ashley gave me this look last week. And I'm starting to think parents are waging bets if it'll still be up when they drop off their sons on Wednesday nights for youth group at our house each week. But I also have to tell ya, it's liberated some people! A friend told me it makes her feel better that I still have my tree up. I guess she used to think I had it a little more together. Another friend used to ask, "How do you do it all?" Now she knows my secret...I don't. I just do what I can. And many times I don't do it as well as I think I ought to. But that's okay. At least that's what I told myself and my family tonight when I announced we're eating hamburger helper for dinner... and singing Christmas carols before bed. So what's the latest you've left up your tree? 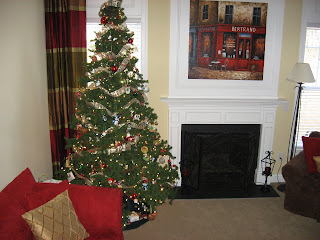 Please tell me someone out there still has a tree up - I need a support group! I've been thinking about how Jesus used His words to draw someone's attention off of who they were to who they could become. It reminded me of a quote I read in “Raising Positive Kids in a Negative World. Zig Ziglar explains how “words paint pictures in a child’s mind and then his mind goes to work to complete the pictures.” This was powerfully true at a turning point in my life just after my sixteenth birthday. It was a rainy night and I only had five minutes left before curfew. There were twelve miles between home and my boyfriend's house and I didn't want to get grounded. It had been raining and I was driving too fast. I gripped the steering wheel and turned it sharply to avoid crossing the yellow line of that familiar curve, which caused my little Datsun B210 to spin out of control before hitting a ditch and flipping over. The sound of crashing glass and metal filled the air as my car tumbled over and over in slow motion. Finally it came to a halt. Within 10 minutes, the police and paramedics arrived and found my car lying on its side with the driver’s side crushed and most of the windshield gone. I was no longer in the car. The paramedics searched the field where my car had landed, but my body was no where to be found. When my car stopped rolling, I forced the passenger door open, climbed out, ran to the highway and flagged down a car. The man driving took me back to my boyfriend’s house where they would then bring me to the hospital. My my mom met us there where she was greeted by a police officer who described the accident and the damage to the car. It was completely totaled! Fortunately, my life was not. During the year after my accident, my mind would be challenged to complete the picture her words had painted. Like the rain clouds that hovered over the road I traveled that night, clouds of depression hovered over me. The road ahead brought many hazards. A trickle of self-doubt led to overwhelming feelings of insecurity. Teen-age disappointments and heart break led to despair and an aching hole in my heart that couldn't be filled. So I numbed it with alcohol. By the time I was nineteen, my courage to keep living was gone. I was desperately looking for an escape. Why not end it all? Yet, I knew I couldn’t. “Who am I to take my life?” I asked myself as I remembered my mom's words reminding me how God had rescued me. So instead of searching for a way out, I began to search for Him. Like a paintbrush, her words drew a picture of hope on the canvas of my heart. “God must have a plan for you.” In search of His plan, I found courage to move through the storm of depression and come to know Him in a personal and powerful relationship where darkness was replaced by Light and despair was redeemed with hope. Years later I discovered that sharing my journey would be part of God's plan to encourage others in theirs. You also hold a paintbrush. With strokes of confidence and assurance, you help your child (or someone else you love) believe that God uniquely designed her with a purpose. When she faces disappointments and failure, as we all do, she can recall your words that have assured her of God’s plan for her life, “plans to prosper her, not to harm her, plans to give her a future and a hope.” Jeremiah. 29:11. When your child gets rejected by friends, doesn't make the soccer team or pass his driving test, you can remind him with your words of encouragement that you believe in him no matter what; that you will never give up on him, even when he gives up on himself. I wish this came easily because we just want to be good moms. Honestly I have to really think about it and work at it. I catch myself not saying things how I wish I had. I try not to beat myself up about it anymore but quickly go back to that child (or my husband or a friend) to apologize and ask for a do-over. Then I say what I wished I'd said the first time. I believe "God's plan for my life" is for me to be my kids and my husband's biggest encourager. I know He saved me first to draw me into an intimate relationship with Jesus. Then He poured His love into me through His Spirit, His hope into me through His Word. But then He called me and commissioned me to give away what He'd given me - right here, right now. In everyday moments where I have the opportunity to see a need and speak right into those empty places with His words of hope. Will you join me with your paintbrush today? Let's ask God to fill our hearts with His words of encouragement so that we can take those words and paint a picture of hope on the canvas of someone's heart today! I wanted to let you know that my friend Sharon Sloan is doing a great BIG give-away on her blog as she celebrates her 100th blog post today. As part of her celebration, she is giving away several resources and one of them is my Mining for Gold in the Heart of Your Child character chart and CD. Be sure to stop by and be blessed! Her beautiful heart and love for God's Word is evident in everything she writes and in everything she does. I hope you'll join me in celebrating with Sharon by visiting her blog today, www.joyinthetruth.blogspot.com. Happy Monday! The winner of Micca's book is Renee and Cullen! Oh, I almost blew it on Friday. Well, I sorta did blow it but thank you Jesus, I caught my self just as it was happening and shut my mouth before I really blew it! I was trying so hard to be a good mom and encourage one of my kids that'd had a hard day. Someone at school was being mean to him, using mean words to tear him down. It made me so mad. I know what it's like to be hurt by mean words so it taps into a tender place when I see or hear about it happening to someone else - especially one of my kids! I tried to counter the mean words with encouragement. I tapped into my Jr High cheerleading skills, pulled out my internal pom-poms and started doing cheers for him about how g-r-e-a-t he is and how God's using him in so many ways and all that sappy mom stuff. He just wanted a brownie and for me to drop it. He faked a smile, said thanks and headed upstairs. Ten minutes later I heard that same child being really mean to his brother and using his words as a weapon. Something in me snapped and I started threatening to take away every bit of his brownie and his freedom if he didn't apologize. What happened to the nice and encouraging mom? She was still mad about the school incident and when she saw it happening in her own home, she blew it! Later I realized I had become part of the whole cycle of one hurt person hurting another. It helped me realize that the child who is being mean to my kid is probably hurting inside so he's striking out to hurt someone else. Then my kid gets hurt and he strikes out at home and hurts his brother. Then I get hurt and I strike out and the crazy circle continues. I know, I am supposed to be more mature and all. Well, when I realized I had contributed to the cycle, we had a good talk and my hurt child realized and apologized for what he'd said and done. And so did I. This morning it was time to go back to school after a break from the hard knocks of school life. God reminded me how much courage it would take for my kid to face the possibility of conflict again. Instead of letting the cycle continue I decided to start a circle instead. I replaced the cycle of criticism with a circle of encouragement. I know kinda cheesy but it worked. I encourage my kid with words God had given me this morning in Psalm 23. I asked him read it out loud on our way to school. He said he could feel how close God was and it gave him courage. As I dropped him off I asked him to look for ways use the gift of words to build someone up just as God was building him up. My prayer is that God will build a bridge to the heart of the kid who was mean and maybe my child can encourage him one day. How powerful that we can use our words to encourage our kids and help them overcome challenges? Our encouragement helps them realize their potential and become who God created them to be. None of us can deny that we dread rejection from our peers or fear getting hurt. There are so many kids (and adults) who never reach their fullest potential and what often holds them back is a lack of courage. What often deters them is negative words from someone along the way. Jesus used words to give people courage. Through His words, He drew their eyes off of who they were and pointed them towards who they could become. As a mom, I want to be the all-important catalyst for my child to become all that God has designed him to be by believing in him and offering courage through my words. And when I blow it and jump on the cycle, I can apologize and start a new circle. I've been taking your burdens (shared in yesterday's comments) to the Cross praying that that Christ’ power will resurrect, renew and restore the pain and suffering you are facing. Jesus is faithful and able to bring beauty from the ashes. I am praying that when we can't see His hand or understand His plans, we will always trust His heart. We're living in troubled times. 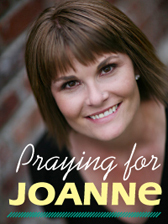 One of my good friends’ moms is battling aggressive cancer. Another good friend and mom of three young children found out her cancer has spread to her liver. Another friend found out her daughter has an eating disorder. Another one’s husband loss his job. Yet in the midst of it all, I am hearing amazing stories of God making a way where there was no way. In the midst of troubled times, God never wants our concerns to take us captive and hold us in a prison of worry and fear. Fear and worry go together. When something happens that frightens us, we'll often start thinking about the worst thing that could possibly happen next What if this happens? What if that happens? “What if” - an oh so familiar phrase that cracks the door open in our thoughts, letting worry creep in quietly by creating scenarios that may or may not happen. And if we're not careful, “what if” will hold us hostage to tomorrow’s troubles. So what do we do with worries that wage war in our minds, and become weapons the enemy uses to steal, kill and destroy our peace? The truth is, we will either take our thoughts captive or be held captive by them! Please read that again. I know what it’s like to be held captive. I lived in a prison of fear and worry for over 20 years and didn’t even know it. I thought being worried and afraid was normal. Now I know I told you yesterday it must be normal since God tells us not to be afraid so many times, but hear me now, being held hostage by fear is not! Fear will hold you as prisoner of war, and you'll become MIA (missing in action)! But there is a key to unlock the door of prisons built by fear and worry - that key is TRUTH - truth will set us free! The first step towards finding freedom for me was getting to know Jesus, God’s living Truth. Not just knowing about Him, but really knowing Him and letting Him know me. I spent time with Him reading God’s written Truth. I wrote down my thoughts and compared them to His. I prayed that God would change the way I thought and make me able to recognize Satan’s lies. I became familiar with God’s voice so I could know if my thoughts (or worries) matched His. I reminded myself again and again that Jesus came to give me life to the full but there was an enemy who wanted to steal, kill and destroy my life. He liked me better as a prisoner. It's time for us to decide that we will no longer be held captive, but with God’s truth we will take our thoughts captive and break free from worry! Let's use the sword of the Spirit (God's Word) and fight for the freedom that is ours in Christ! Let's hold our thoughts up to Truth and make them obedient to Christ, then toss in any false evidence that appears real into the outfield (see yesterday's post) when trials and troubles come our way. My friend Micca's new book was just released so I'm giving a copy away to tie in with this week's posts. It's called, "An Untroubled Heart: Finding Faith that is Greater than all My Fears" an d it's really powerful! For a chance to win, leave a comment under today's post and for extra chances leave one under any of this week's posts. Be sure to include your email so I can contact you if you win. UPDATE: Happy Birthday Micca! To wish her a happy birthday and for more chances to win her book, hop over to Micca's blog where she is giving away four copies this weekend! In my P31 devotion today, I talked about finding God's peace in the midst of our worries. I love that verse in Matthew 11:28 where Jesus says, "Come to Me, all you who are weary and heavy burdened and I will give you rest." The word weary is so close to the word worry. And if I'm honest with myself, worry makes me weary! It weighs me down and wears me out - mentally, physically, spiritually and emotionally. So what should we do with our worries? Jesus invites us to come to Him when we are weary from all our worries and burdens so He can give our minds a place to rest. God showed me a tangible way to take my worries to Jesus through a conversation with my son. One morning I was getting ready when Andrew came to me and announced that he didn’t want to have ANY anxious thoughts that day – he didn’t want to worry about me being home when he got off the school bus, or about his teacher liking his science project, or about whether his dad would get in a car accident. That morning as I listened, I sensed the enemy was using worry as a weapon to still, kill and destroy my child's joy, hope and peace. Although I couldn't take my child out of the battle, I could equip him for it! I wanted to give him the confidence he needed to fight courageously so I assured him that worry is kinda normal. I reasoned that it must be a normal part of life since God tells us not to so many times in the Bible. But God also tells us what to do when we do worry. I shared 2 Corinthians 10:5 where Paul tells us to demolish all arguments and any pretension that sets itself up against the knowledge of God, by taking every thought captive and make it obedient to Christ. Now I just needed to take that concept and put it in terms he could understand. I asked him, "Would Jesus say that? Andrew replied, "No." Would Jesus say that? Again, "No." Get rid of that one, too. When we finished talking through each worry, I shared Philippians 4:6-9 and we prayed - telling God Andrews concerns, asking Him to replace his worries with promises, and thanking God for what He's done in the past and would do that day. After the Amen, Andrew looked at me, smiled so big and said, "Thanks Mom!" as though all his worries were gone. God's word really works. God knew we'd have lots of reasons for worry but he also knew that worry would be Satan's weapon to distract and destroy the peace and joy that is rightly ours as children of God! Worry can ruin our day and our life, can't it? That's why Jesus tells us not to let our hearts be troubled but to come to Him. He wants to replace our worries with His words. He says He'll give our minds a place to rest and promises to keep us in perfect peace when our mind is steadfast (fixed in a direction, firmly established) on His truth because we trust in Him and not our troubles. So, what thoughts are flying at you today? If you were to catch 'em and listen to what they're saying - would they match what Jesus says? I would love to know what kinds of worries you're dealing with so we can pray for each other. Mine are mostly about my kids and doing something hard that God's called me to do. I'm learning that it's not just about throwing our thoughts out, it's about replacing our worries with God's words. I"ll be back tomorrow to share more on that. This week's theme on worry is great timing since I'm giving away a copy of my friend Micca's new book, "An Untroubled Heart: Finding Faith that is Greater than all My Fears". For a chance to win, leave a comment under today's post and for extra chance leave one on any of this week's posts. Yesterday, I wrote about releasing my grip and not getting worried when God changes my plans. Tomorrow I'll talk about using God's Word as our weapon to demolish arguments and worries that set themselves up against the truth about Him! See you then. PS. Be sure to include your email so I can contact you if you win. I wonder if Jesus ever felt frustrated when God changed His plans for the day. Did Jesus feel that angst that comes from having to re-arrange your schedule and commitments? I like to think that He did. But when I read stories where Jesus had to relinquish control, He didn't seem to have any angst. He simply, but completely, surrendered His agenda and found joy in an absolute dependence on His Father. God's challenging me to have that same mindset these days. Although I'm not much of a planner, I've felt God calling me to become one to bring order to my days and calm to my chaos. The hard thing is that when I make plans God will ask me to surrender my plans for His. And since confession is good for the soul, I just have to confess that it's stinkin hard sometimes. I'll start to worry about getting things done when they are postponed or what others will think if I have to cancel. I don't usually see what God is doing at first. Most of the time it feels like a big interruption in an already hard to balance busy life. But when I pause to listen to His quiet voice in my soul, I sense God telling me His best for my life will only be found in absolute dependence on Him, and this is part of the process. It's part of Him fulfilling my desire for His perspective and presences in my everyday life. I've had lots of "growth" opportunities in this area ever since I started writing about it last week. I was scheduled to record radio shows last Friday morning to get ahead. I'd written my shows, practiced over and over, got my kids to school, kissed my husband good-bye for the weekend (since I was leaving town) and started getting ready. A friend called and while we talked I noticed my voice was scratchy. Not good. I kept drinking hot tea and humming doe-ray-mees but my throat wouldn't warm up. Scratchy doesn't sound so good on the air. Much to my disappointment I sensed God telling me to call my producers to cancel. Sounds easy? It's not. I have to schedule three people for these recordings and finding a day everyone is available is challenging. I had no choice so we re-scheduled for today. And my plans for this week got re-arranged, too. Initially, I didn't see this as a God-interruption. I attributed it to allergies and decided to get ahead on this week's to-do list. I was feeling a little hungry so I opened the fridge to get something to eat. That's when I noticed we were short on food. A thought went through my head that this "extra time" would give me the opportunity to make a menu and buy groceries for JJ and the kids' for the weekend. Now you need to know that I am emotionally allergic to the grocery store. It's truly my least favorite place. It makes me tired to go there and I'd be heading out of town so I needed to rest, right? Plus my husband loves the grocery store! Surely, God would not want me to take that blessing from JJ. I thought I'd just write a quick menu and grocery list for JJ. That would be kind enough. Nope. God wanted me to go and do the whole thing. What I didn't share is that I was feeling really sad the night before about going out of town. I didn't want to be away from my family. And I had prayed about it and asked God to fill that empty place with peace. And you know what? After grocery shopping, I felt like a great mom and wife when I came home and loaded my pantry and refrigerator with food for my guys before I headed to the airport. I felt like I had loved my family well and made a big deposit in their accounts when my boys got off the bus that day. Only God knew how it would bless me as much as it would bless them. When I left town later my heart felt so full knowing that I had loved JJ in special way because he knows its my least favorite thing to do. And my boys were so excited to have extra special snack options when they got home from school. Their whole weekend was full of fun and food at their fingertips! Every time they ate they were reminded that mom was thinking of them before she left town. I am so glad God answered my prayer and prepared my heart and my home for me to be away this weekend. I pray that each day Jesus will be give me His eyes to see and ears to hear the faithfulness of my Father even when I don't understand why His plans are better than mine.